Wolf Material Handling Systems has provided complete engineered material handling systems and equipment to handle solid waste. Wolf has handled municipal solid waste, refuse derived fuel, and sludge. Wolf takes complete design and supply responsibility of material handling from receipt of the waste, sorting, explosion protection, classification, separation, sizing, conveyors, and boiler metering bins. 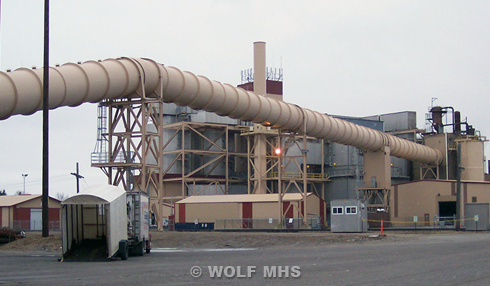 Wolf provided the material handling systems for three of the largest solid waste fueled power plants in the United States. Wolf has developed a proprietary system for processing this unique material. Wolf offers a Performance Guarantee on each system design.